Amber Lamanes has a passion for dance, music and children. This passion is what has motivated her to partner with her mother, Lori Lamanes, and bring to life Leap Forward Dance School. As a mother of two children, Miranda born in 2007 and Nadia born in 2011, Amber is able to easily identify with parents. She is flexible and accommodating and works with the parents toward a common goal, doing what is best for their child/children. Amber’s early years were spent for the most part in the dance studio. She studied RAD Ballet and also obtained a thorough grounding in Jazz, Modern, Musical Theatre and Tap. She earned several dance scholarships including one for six weeks of intensive study at the Walnut Hill Ballet School in Boston, Mass. After graduating high school in 1997, she continued her ballet training in Cecchetti at H.Z Ballet Classique, before moving on to the Alberta Ballet School in Calgary where she completed her Elementary and Intermediate Cecchetti ballet exams. Formal training as a teacher took place initially at the Edmonton School of Ballet’s Teacher Training Program. She also received training and experience through the Ballet B.C. Mentorship Program. 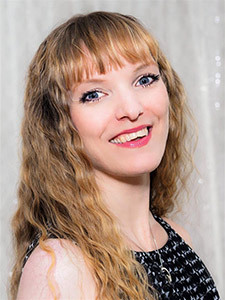 Acceptance into The Royal Winnipeg Ballet School’s Teacher Training Program gave her intensive instruction in Ballet, Character, Modern, Jazz, Anatomy, Dance History, Music History and Pilates. After completing those studies, she organized and taught dance programs in recreation centres and gymnastic schools. Amber taught for two years at The Royal Winnipeg Ballet School and after moving to Victoria BC, at Westcoast Academy of Performing Arts, Boston Dance Collective and Karen Clark Dance Studio. Amber currently holds her RAD Teaching Certification which allows her to enter students ages 5 and over into Royal Academy of Dance exams. In December 2015 Amber completed her Associate Teaching certification in the Cecchetti method. As a committed lifelong learner, Amber is now preparing for the course of study that will culminate in a Royal Academy of Dance Teaching Degree. In addition to her dance and teacher training, she has been active in company work, performing in Nutcracker, rehearsing young dancers and choreographing. She is also an accomplished musician, having achieved her Royal Conservatory of Music ARCT in classical Piano. Amber is a true dancer at heart and still enjoys weekly ballet lessons, as the student not the teacher in the classroom. Leap Forward has an exciting future ahead and Amber welcomes you to be part of it.